We offer variable digital print equipment and the capability to process the simplest to the most complex mailing projects from initial concept to delivery in record time. As an ISO Certified, SAS70 Audited Company, our team of Project Managers, Consultants and Data Analysts are able to implement strategic programs using their quarter century of experience. 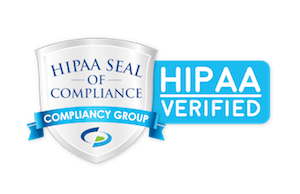 We abide by industry standard confidentiality and HIPAA compliance protocols, in order to ensure our clients’ data is protected. Our processes specialize in regulated industries such as healthcare, insurance, finance, non-profits, higher education and retail, as well as a variety of other businesses. Whether it be on-demand print, digital print or commercial offset print, Admail West provides the solutions for almost any print or direct mail project imaginable. Our experience and capabilities, combined with the latest technology and knowledge of postal rules and regulations, enable the lowest postal rates possible for our clients. An on-site, detached unit of the United States Postal Service for faster and more efficient verification, allowing entry of your mail into the postal system. The latest in direct mail technology for flawless processing of the simplest to the most complex mail projects, from concept through delivery. Through strategic audience targeting methods, we refine clients’ data in order to capture the attention of prospective customers and increase response rates. These methods result in more effective direct mail campaigns. From the original concept through final delivery, our team guides you through the complexities of any project. With more than two decades of expertise, our highly trained professional staff specializes in customized kit building, product fulfillment and e-commerce. We work closely with your team, finding cost-efficient, quick-to-market approaches to get your products out the door. We don’t just warehouse and ship, we consult with you to create a comprehensive fulfillment program. Our proprietary software allows you real-time access to your orders and your inventory, and allows you to track your shipments. Whether your order is simple or complex, our fully-staffed warehouse executes all orders with meticulous attention to detail and with the highest level of professionalism.